In the autumn of 1941, Amelia J. McGee, a young woman of Cherokee and Scotch-Irish descent, and an outspoken pamphleteer for the NAACP, hastily sends her daughter, Ella, alone on a bus home to Georgia in the middle of the night—a desperate measure that proves calamitous when the child encounters two drifters and is left for dead on the side of the road. Ella awakens in the homestead of Willie Mae Cotton, a wise root doctor and former slave, and her partner, Mary-Mary Freeborn, tucked deep in the Takatoka Forest. As Ella heals, the secrets of her lineage are revealed. Shot through with Cherokee lore and hoodoo conjuring, Glow transports us from Washington, D.C., on the brink of World War II to the Blue Ridge frontier of 1836, from the parlors of antebellum manses to the plantation kitchens where girls are raised by women who stand in as mothers. As the land with all its promise and turmoil passes from one generation to the next, Ella’s ancestral home turns from safe haven to mayhem and back again. Tuccelli’s writing is lovely, and the concept behind Glow is a very interesting one. The people of the Blue Ridge mountains are not often written about, nor are biracial communities in general. The problem lies in the arrangement of the story. In some ways, Glow takes the reader ever deeper into the past, with stories inside stories, and then brings them back out to the 1940s, but the progression is not quite as smooth as that, with some jumping around. The jumping of time periods is inconsistent, and occasionally happens after so long that the reader may have forgotten what they have already learned about the characters and completely lost track of how their stories relate to one another. Tuccelli does provide a family tree, but more textual clues – and trying to do fewer things in general – would make this a stronger book. This production just did not work for me at all. 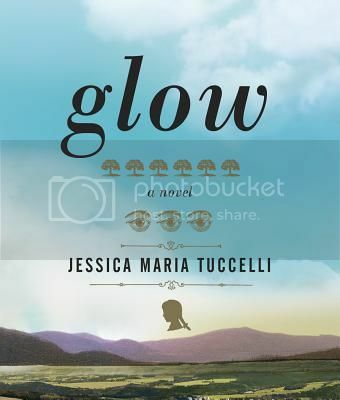 Donna Postel, the narrator, was not really the problem, I think she did the best she could with the source material, but I am not convinced that Glow is particularly well suited to audio, given Tuccelli’s reliance on her family tree instead of textual clues to show connections between characters. I also think that, if anything, there should have been multiple narrators, each taking a different time period and person’s story. Having a single narrator move between the time periods, in the way they were arranged, ended up causing the entire story to run together, without enough distinction. For more on the audio production, please see my review for Audiofile Magazine:. Glow is a bit overambitious, and doesn’t quite achieve the ends it desires. The audio production is particularly weak, and not a way I would recommend approaching this. I’ve got this in print and will try it that way. Tuccelli spoke at SIBA last year and there wasn’t a dry eye in the house. I haven’t read this, but your review makes some good points. 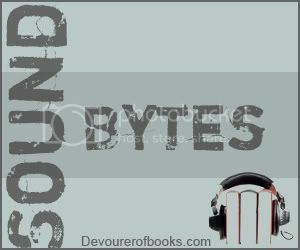 There really are some books that simply aren’t suited for audio – but they try to make them work anyhow. Agreed, agreed. I’m so glad to see another review of this. Parts of it were really, really beautiful, reminding me of Edward P. Jones’ The Known World. But other parts were just as you described – overambitious. Glad you thought so too, so many people just adored it. In audio the overambitious really comes through, I was curious about how it was in print. Hmmm probably not a book I would seek out in either print or audio; but it does sound like an interesting premise. Too bad that this one didn’t pull together well – it has such an interesting premise! p.s. LOVE the idea for this meme! Not sure how often I’ll participate, but it’s great. Best of luck! Based on what you say of the premise, I think it would be one I’d be better off reading. Stories within stories sometimes lead me to read back a few pages, to refresh my memory. That’s hard to do with audio! As Suzi said, thanks for being my screener!